Relations between India and Pakistan have been strained of late over incidents near the border in the Jammu and Kashmir region. Late in February the Pakistani Air Force announced it had downed two Indian jets following an air raid by the Indian Air Force against an alleged terrorist camp on Pakistan's soil. Last week had seen cross-border conflagrations that escalated up to the stage of fighter jets crossing into opposite side's air spaces of the two nuclear power neighbours. 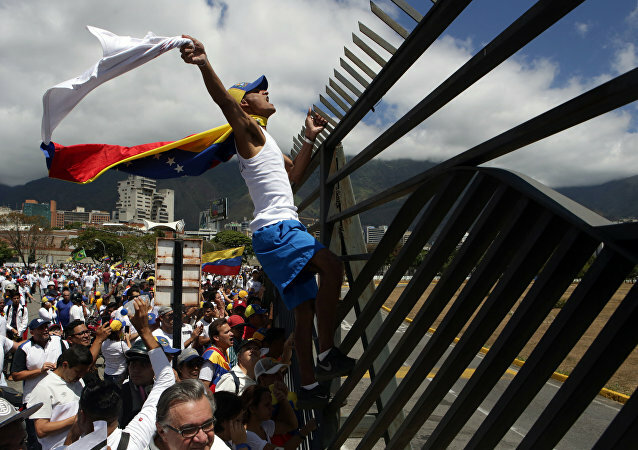 CARACAS (Sputnik) – The Venezuelan authorities will not open crossings on the country's border with Colombia as long as there is a risk of aggression toward Venezuela from its neighbour, Jorge Rodriguez, Venezuela’s minister of Communication and Information, has told Sputnik. The escalation of hostilities between the two nuclear powers has raised global concerns, and the international community has called on both sides to show restraint. Pundi Srinivasan Raghavan, a former diplomat who currently holds an advisory position in the Indian establishment says that India's air strike on terror camps in Pakistan was preemptive and that countries calling for restraint by both sides are basically equating the victim to the attacker. The trending hastag #PakistanZindabad saw roughly 212k tweets on Wednesday morning. Twitter users also tweeted using #PakistanStrikesBack, #PakistanArmyZindabad and #PakistanAirForceOurPride hashtags to express their pride in the country's military forces. On Saturday, the deadline imposed by the US and its allies for the Venezuelan government to accept their shipments of humanitarian aid from Colombia and Brazil came and went. While no decisive and forceful intervention broke through the closed borders, the tension has reached fever pitch. 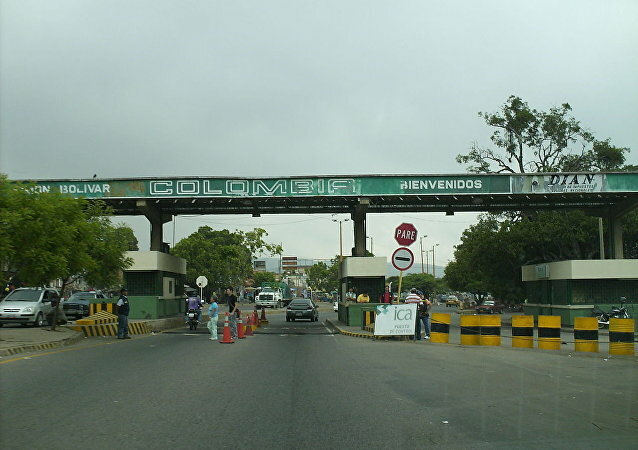 The Venezuelan opposition, led by self-proclaimed interim president Juan Guaido, attempted to force US-sponsored humanitarian aid into the country, including through Colombia, where an aid collection centre is located. Maduro has refused to allow in such aid, calling it a "fake show" and a ploy to oust him from power. India and Pakistan have started work on their respective sides to complete the Kartarpur Corridor project as soon as possible. The corridor would make it easier for Sikh pilgrims to visit the Darbar Sahib shrine in Narowal, Pakistan, where Guru Nanak Dev, the first spiritual mentor of the Sikh community, spent the last few years of his life. Visiting Norwegian Prime Minister Erna Solberg has categorically ruled out any suo-motu mediation between Indian and Pakistan, unless both countries seek her country's help in resolving differences. 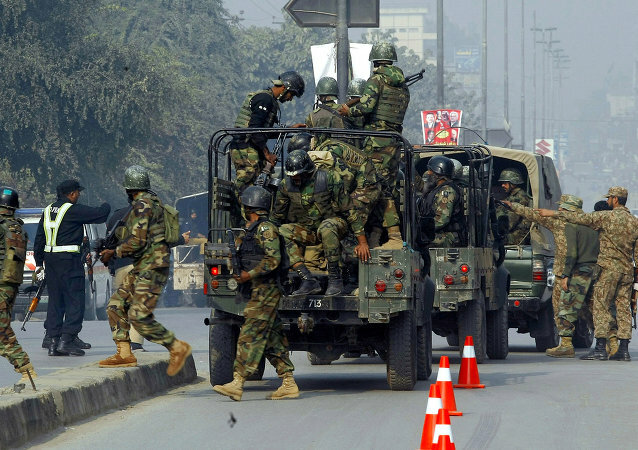 According to Indian Army officials, the intruders wearing combat dresses of Pakistani regulars were assisted by the heavy fire of machine guns, mortars, and rockets from the Pakistani posts. The movement was detected by the army men deployed along the LoC and they fired on the intruders. GAZA (Sputnik) – Another Palestinian succumbed to his wounds, becoming the fourth victim of Friday clashes with Israeli soldiers on the Gaza border, spokesman for the Gaza Health Ministry Ashraf Qedra said Saturday. The two countries had suspended the annual military exercise in 2017 following a 73-day bitter standoff at the Doklam plateau which ended thanks to diplomatic efforts in August 2017. MOSCOW (Sputnik) - The number of Palestinians who were injured on Friday in clashes with Israeli troops near the Gaza Strip border has risen to 33, the Gaza Health Ministry said. Clashes between migrants and law enforcement on the US-Mexico border near Tijuana have created a new challenge for lawmakers, while Homeland Security officials have defended the use of force, noting they expect additional confrontations. Thousands of migrants from Latin America traveling in caravans and seeking asylum in the United States are regularly stopped at the Mexican border. MOSCOW (Sputnik) - Israeli Defense Minister Avigdor Lieberman on Saturday ordered to cut the fishing zone limit for the Gaza Strip from nine to six nautical miles amid ongoing violent protests on the border with the enclave, Kan reported. MOSCOW (Sputnik) - The Israeli forces injured at least six Palestinians in clashes on the border with the Gaza Strip on Wednesday, Ma’an reported, citing medical sources. At least six Palestinians were killed and over 500 others were injured on Friday in clashes with Israeli troops on the border with the Gaza Strip, the spokesman for the Gaza Health Ministry, Ashraf Qidra, told Sputnik.